How to upload photos to a computer? You are here: CoolUtils > Photo Viewer > How to upload photos to a computer? Most of the image viewers do not show EXIF tags that contain important information about a photo - its graphic properties, size, camera description, etc. 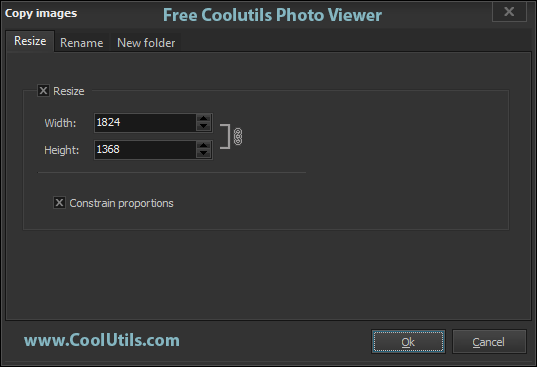 If you need a viewer that shows this info together with images, use PhotoViewer from CoolUtils. 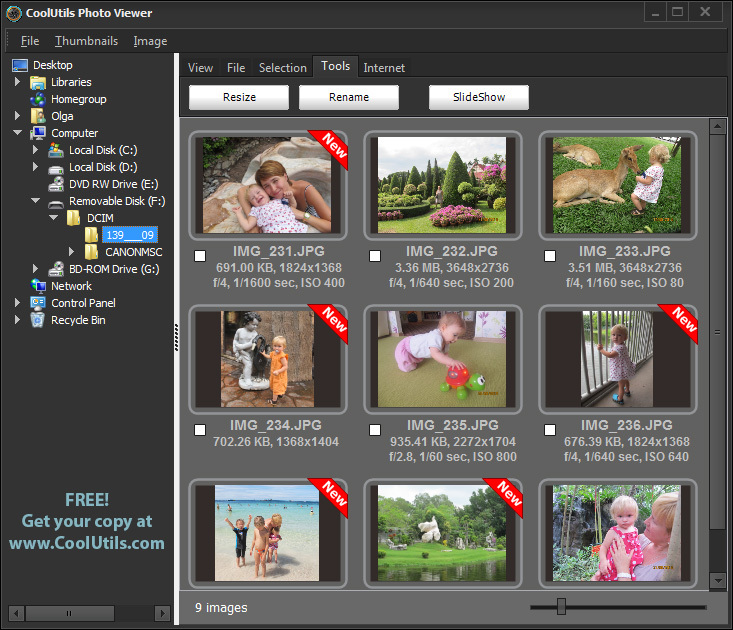 This is a freeware photo browser that supports various digital cameras and shows photos directly from camera's memory card. You don't need to load images first to a computer in order to view them comfortably. View photo thumbnails with EXIF tags below each or open a fullscreen mode. In fullscreen gallery EXIF tags are listed in the top right. In this mode you can slide files using Prev/Next arrows. 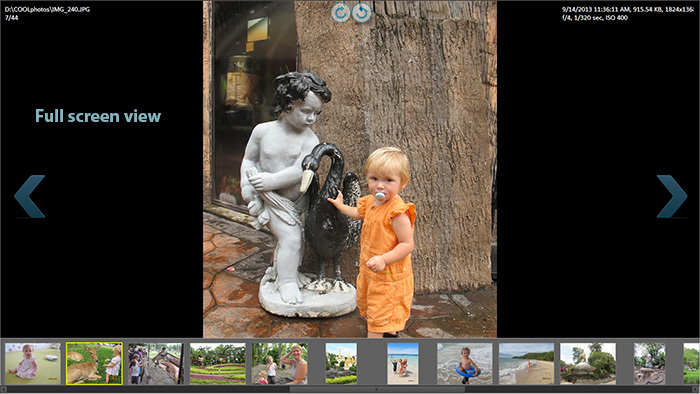 There is also a slideshow viewing mode, but it doesn't display tags, only images sliding automatically. PhotoViewer allows you not only to view photos in different modes, but also helps to upload images to a computer from any portable device. You can copy or move photos to any computer folder for local use. For this you need to select required images and select required option in File menu. There you will find Cut, Copy, Copy to and Move to options. Delete function is also on board. This program provides a handy interface for managing camera shots quickly. 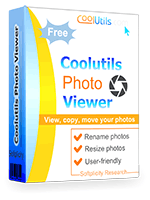 You can use this photo viewer without any fee, as it is a freeware. Download it here.